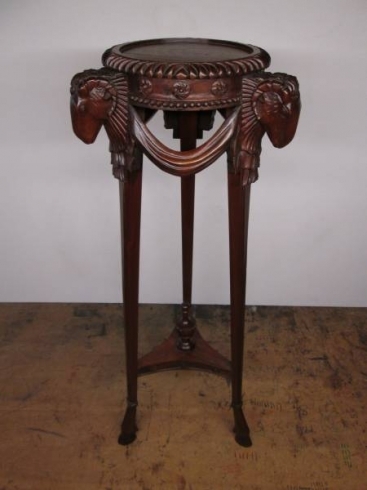 This handmade solid mahogany stand has 3 rams heads carved to the upper tier and 3 hoof feet to its tripod base. The hand carving and turning display pie crust edging through to ornate swag and tail decoration. 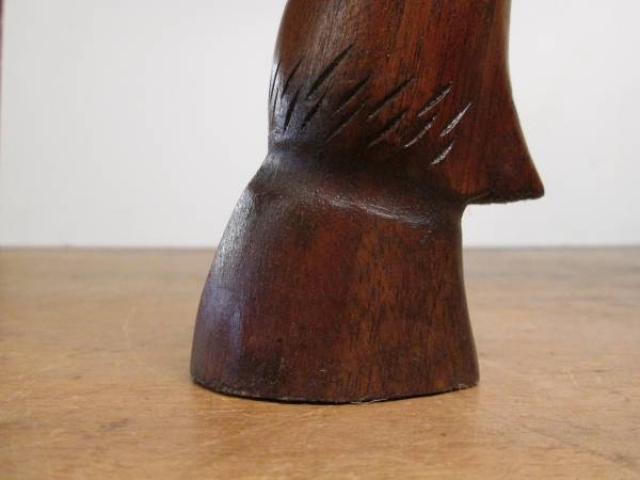 Has just been newly polished with the finest shellac available. Would make a fantastic plant stand for cascading plant varieties. Dimensions - height 110 cms, width 43 cms, depth 43 cms. Only two available. 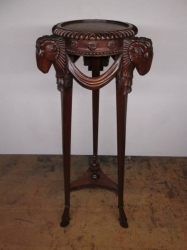 Can be purchased as a matching pair for a discounted price of £549.